As usual, my blogging is lacking in regularity ... but what else is new? Between the lack of a car and the low breeding numbers, the business has hit a bit of a slow-down. This makes things very frustrating, and results in a lot of questioning and evaluating of plans. I am doing my best to keep things moving in a positive forward direction, but with such a lack of needed resources, it does get hard. So far we are off to a better start for fertile eggs, with 9 already in the incubator and the first of those due to hatch around beginning of June. There are many more months yet to go for the girls to lay eggs, but so far I have only got fertile eggs from Meg, Ruby, and Morticia. Lily has yet to drop any viable eggs, and Lady seems to have a long delay in dropping ANY eggs at all. I know they will yet, as they have before. 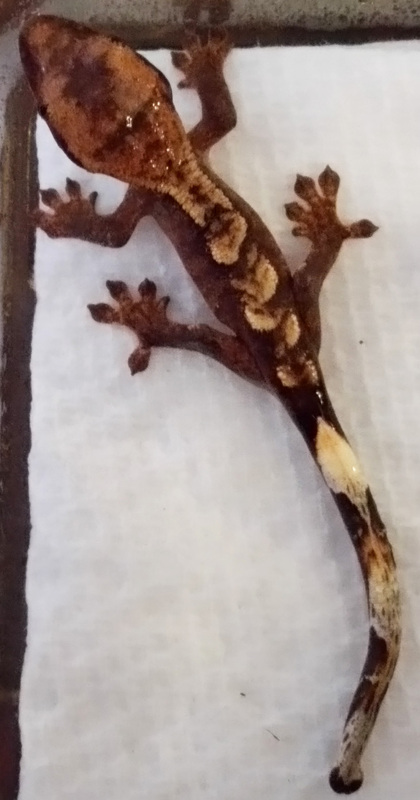 I have made some changes to have some better quality breeders, so I will have high contrast harlequins (working on getting cream/red combo), pinstripes, and dark. I am hoping that I will get some nice dark babies from my SAM x MORTICIA pairing, and if so, then I will sell Ash. Otherwise, I will list both the dark "breeders" instead. I do have nice pinstripe morph options, so I will be able to offer a range of options. Around this time last year, we signed on and became authorized resellers for equipment and supplies that are available from many big names, like Mist King, Repashy, Pangea (not food), Sunblaster, PetTech and Galapagos, to name a few. This will hopefully help carry over through our slower times of the season. 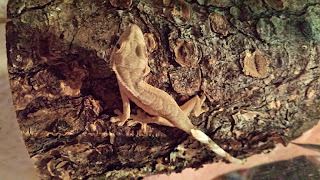 I was also given 4 geckos to add to my collection from a gentleman that was getting out of the business. 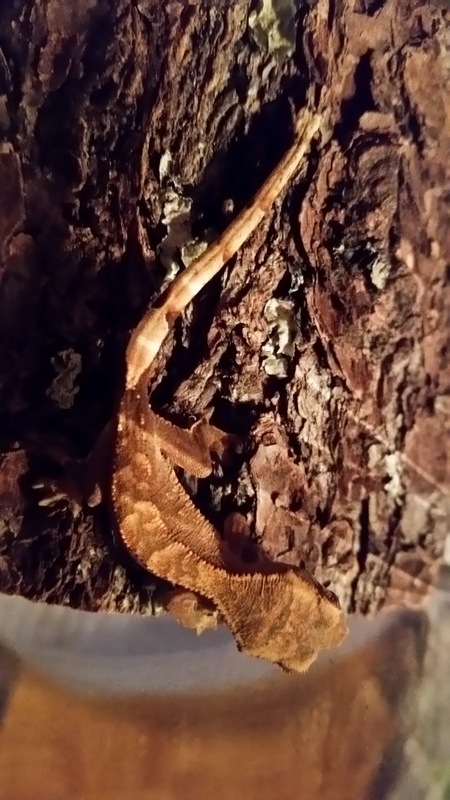 With the addition of these four, I find that I have three cresties that carry the lineage of Prince (from Dream Maker Reptiles) so I am excited for when my future breeders get closer to that stage. I am keeping 2 of the four as future breeders, and the other 2 younger ones are still growing out a bit before I list them. Stay tuned! Many future breeders getting bigger over time, so big plans over the next few years. Nothing worth doing is worth doing fast, so to take the time that is needed will be better in the end! Well firstly ... this has been a crazy season! 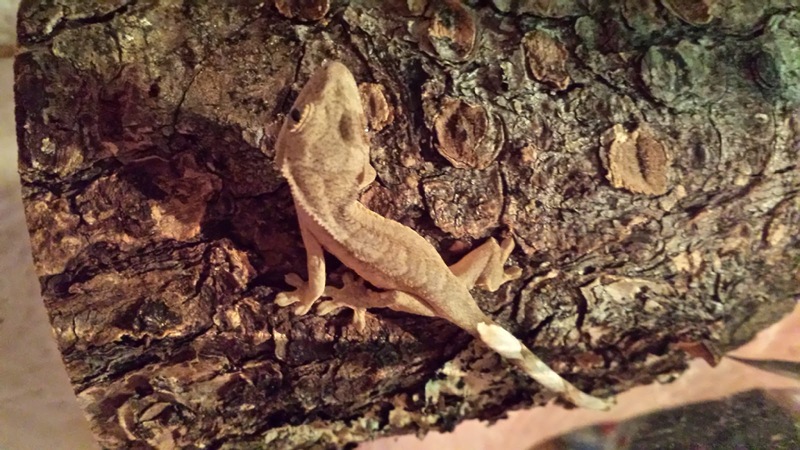 I am working to upgrade my crested gecko quality in order to work on a high contrast high quality line. 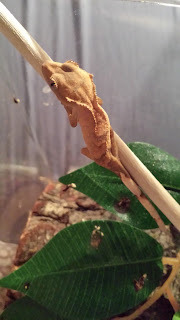 So a few of the current breeders (both male and female) will be listed as available BUT not all and the females that WILL be listed will not be listed until they are done their breeding season. Some will be kept even after based on what they produce. Meg is a full pin so she will be staying on, as will Morticia since this is her first year breeding. 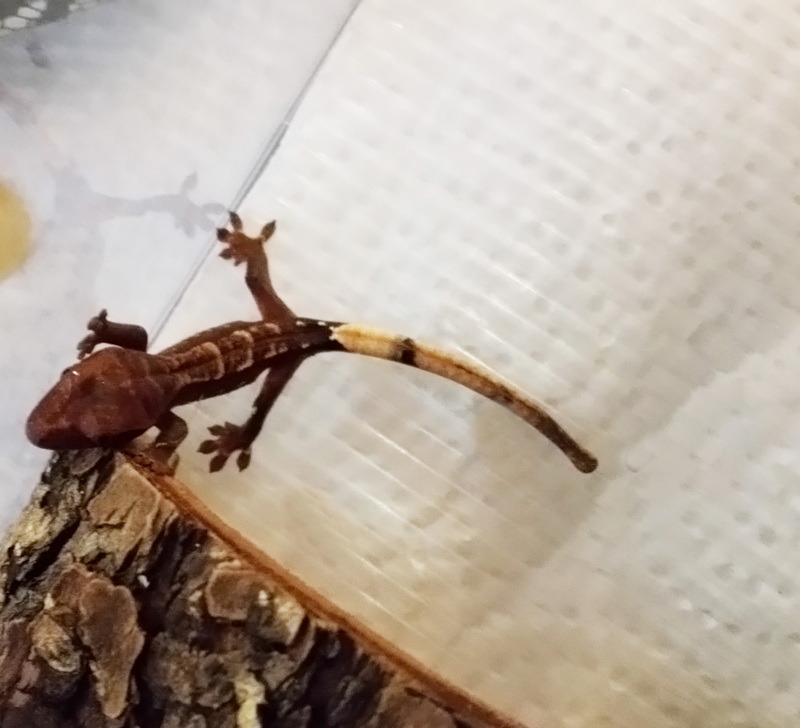 There are some females (or possible females ... can't quite tell yet) that have yet to grow big enough to do breeding with, so those will be waiting about 2 years yet. 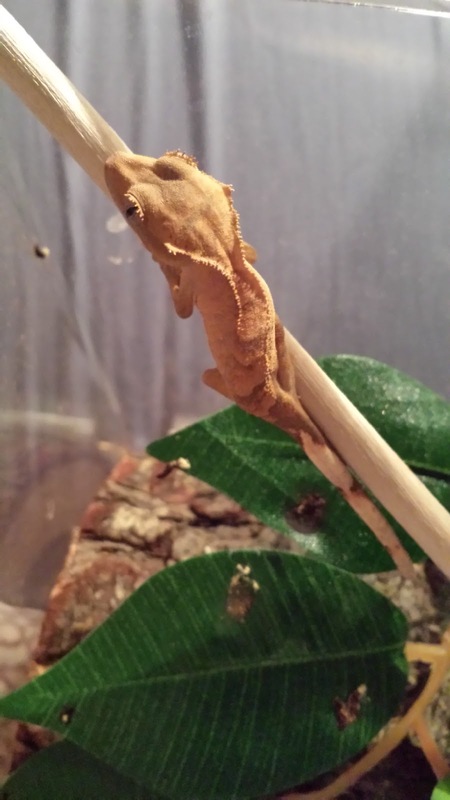 I do have 2 females on the way, plus a new male to suit the better / higher quality project. Fingers crossed things move along as I am trying and hoping to get them to. As for other things, we have started carrying products and equipment and supplies ... authorized reseller for Mist King, Zoo Med, SunBlaster, and lots more! The site has a store section that is slowly being added to, but no real sales there yet. We did sell a bunch of stuff at the last Gatineau Reptile Expo, so hopefully I can get more stock to take and sell. As a reseller the minimum order goes up, but I can get stuff for my own use that way too. There is talk that the hatching/egg issues are global ... which means it is not weather related (way hotter and humid than previously) ... some are thinking it may be related to a food blend since that would be globally related. That is definitely something to dig into deeper. Well, time to add more items to the store! 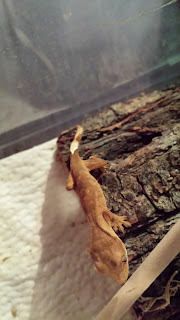 So .... after reading a pile of reviews and such about different foods and supplements for cresties ... especially when dealing with picky eaters ... I have edited the powder-mix bucket ... by adding 2 new options to the combination in use already. The bucket mix I have used so far is a combo of Repashy Super Mango Blend and Repashy Grubs N Fruit ... with a small bit of the Banana Cream Pie and/or Pangea Breeders Formula. The last 2 are not a staple based on budget and availability. 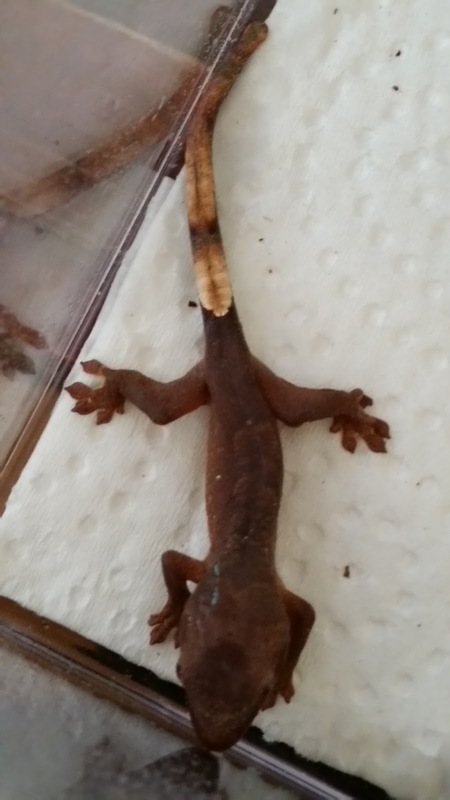 This mix has some eating much better than others in my gecko crew, so I am trying to find a more successful mix. The mix is a bit of a darker color than before, but I think that is due to the SuperPIG powder. I think that mix is for enhancing their natural pigment and such. Again, we shall see. We have one fertile clutch so far from the Sam x Meg pairing, with her clutch date being around the 26th of the month or so for laying. Up next will be Sam x Ruby ... and I will pair Castiel to the other 2 females later in the rotation. I have a pair on hold in Ottawa area, with one more payment to go before I arrange to pick them up. As yet there are no eggs from them. I am not worried since I am working on a longer breeding season rotation ... this way I should have eggs/babies later into the year. I am hoping to have "stock" available for more expos ... including some GTA ones later this year. Nearly the end of the year .... and some nice changes coming up! 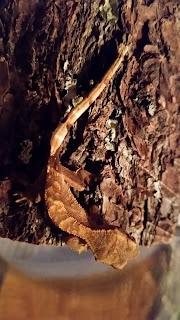 We took up 17 cresties of various ages ... came home with 1 of the four adults, 1 of the 4 juvies, and 5 of the 9 hatchlings/babies that went to the show. The interest and crowd was amazing! We even had a booking for a sale for after we got back to town .. which led to the sale of the last juvie I had available. 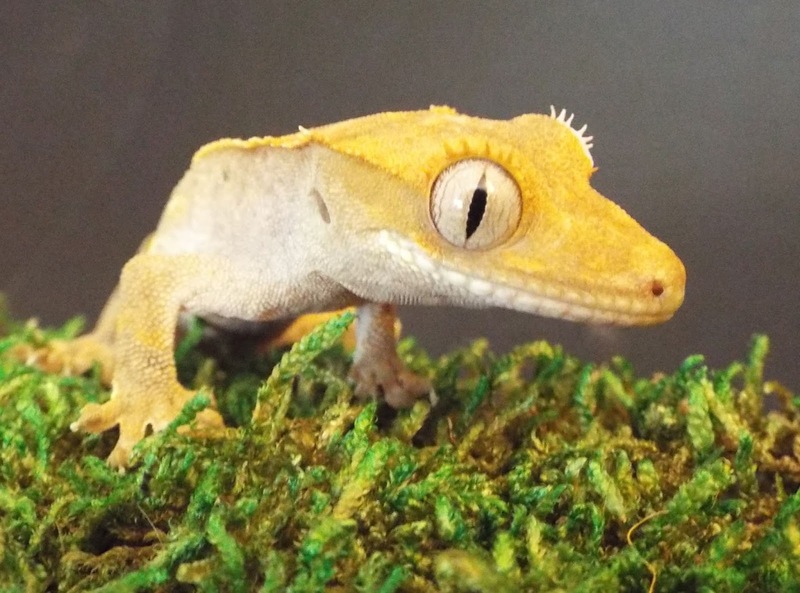 The remaining geckos that are still available are Gomez, London, Skye, Ocean, Payton, and Sage. I hope to have some new little ones or maybe some adults in time for the spring show .... unless the next is not until summer, and I know I will have new geckos available by then.... keep watch! There will be some new breeders brought into the mix .... 3 yet to finish paying off, but two are already with me ... I just need to give them time to grow a bit more. Castiel is about 23grams .... and JoJo is barely 5grams ... breeders must be at least 35grams if not closer to 40. But the 3 coming will be RTB (ready to breed) .... so I am excited about that! Well back to other Katt's Kritters work .... keep an eye on here and both the Facebook page and the mainsite kattskritters.com for more updates! So far .. we have had a pretty good season. There are still a few from 2016 breeding season available .. and a whole pile of new wee ones from this 2017 season! They are so cute! 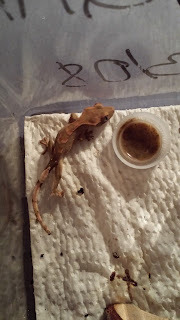 For the new season, we had 12, but then sold one ... and 2 more hatched ... so still have 13 there altogether. Only at most 11 will go to the next Gatineau show ... and the Downsview GTA if I can get a table for that one too! I am re-doing the website for a fresh clean updated look ... so I hope you all will like it. It will take a bit to get it done around things, but I will get it done soon as I can. Check the facebook page for photos! Always be sure to check the main site for updated photos and information on the growing zoo! Hope to post more next week! Well ... we now have 10 babies for the 2017 season ... and more yet to hatch! 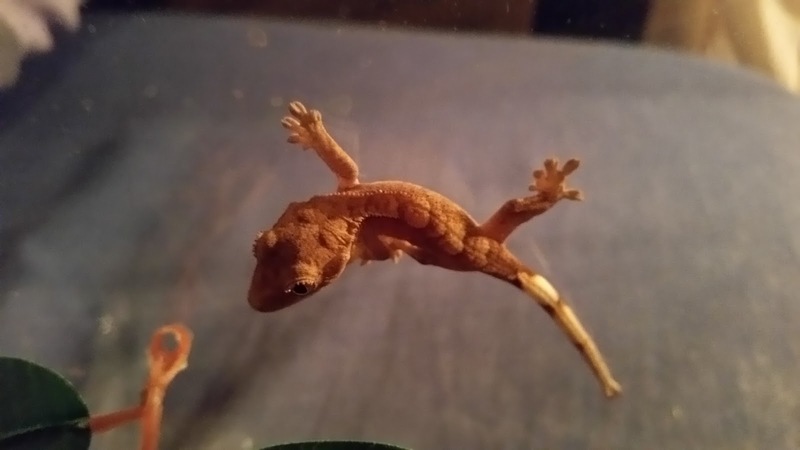 The little ones are getting better and not being such spazzes ... 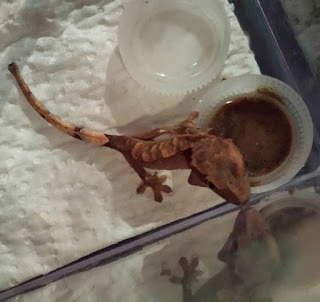 I spent a few mins with almost all during last night feeding ... and did some hand to hand walking with them. It went well ... now to find homes for the ones from 2016 ... while these grow! 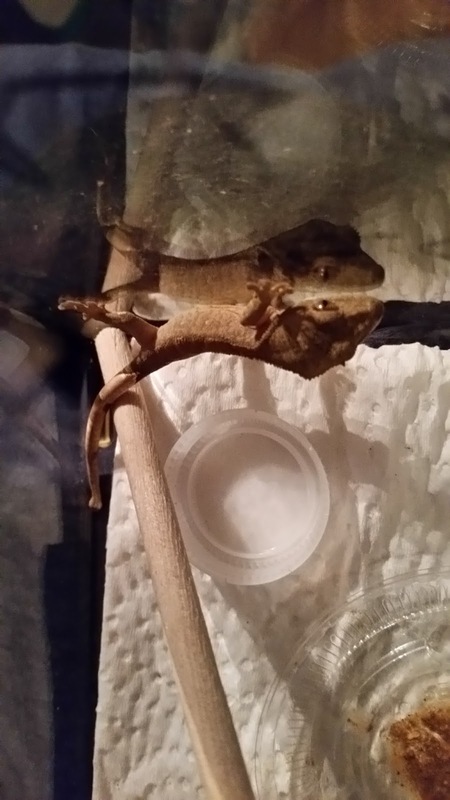 I am excited to see how these develop ... and how my first run at my dark breeding project goes! 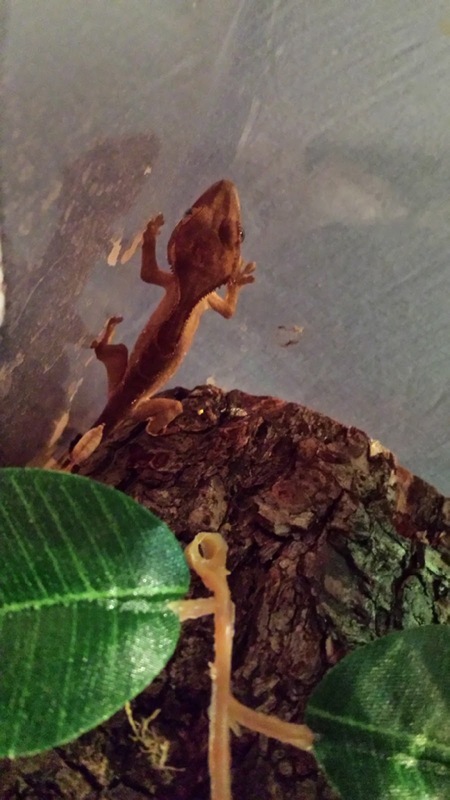 More hopefully dark babies still to hatch! Keep watching for updates! Well the babies have started hatching ... and the others keep growing!